Finance Minister Charles Sousa is giving first-time home buyers a $4,000 land transfer tax rebate. Sousa used Monday's fall economic statement to announce the tax break for eligible purchasers is being doubled from $2,000. 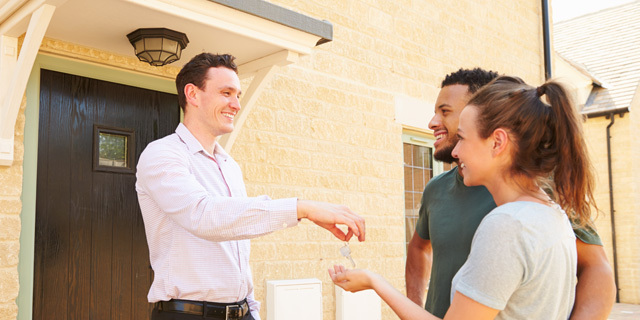 "Purchasing your very first home is one of the most exciting decisions in a young person's life, but many are worried about how they will be able to afford their first condo or house," the treasurer told the Legislature. The change, which takes effect on Jan. 1, means first-time buyers will not pay land transfer tax on the first $386,000 of the cost of their homes. "For many this will mean no land transfer tax on the purchase for their first home," said Sousa. "The housing market is an important source of economic growth and employment in Ontario and improving housing affordability will help more Ontarians participate," he said. Under the land transfer tax break, more than half of first-time home buyers won't have to pay land transfer tax at all — although those in Toronto will still face the city's levy implemented in 2008. Renters are also getting a break, as the government freezes the property tax on apartment buildings — which are taxed at more than double the rate of other residential properties and condos, for example — while it reviews how the "high property tax burden" impacts the affordability of rentals. To fund the breaks, the government will increase land transfer rates on houses that cost more than $2 million. For every dollar over and above that, the rate will rise from 2 per cent to 2.5 per cent. The rate between $250,000 and $400,000 stay at 1.5 per cent and between $55,000 and $250,000 at 1 per cent. And the first $55,000 of a purchase price will remain at 0.5 per cent land transfer tax. Those changes only affect properties with one or two single-family residences. The deficit for 2016-17 will remain at $4.3 billion as he had projected in the February budget. That figure would have been lower but for Lysyk surprising the Liberals last month by announcing two government-sponsored public pension funds should no longer be booked as assets — even though they had been since 2001. The actuarial adjustment — which is now being reviewed by an independent expert panel — wiped $10.7 billion from the assets column and is the equivalent of a $1.5 billion hit on next year's budget. "We will balance the budget in 2017-18 and remain balanced in 2018-19 as scheduled. It's not going to be easy, but … we will make the right choices to bring Ontario to balance," said Sousa. Lysyk said she amended her interpretation after examining the province's claim to the co-sponsored Ontario Public Service Employees' Union Pension Plan and the Ontario Teachers' Pension Plan. In other measures — most previously announced — Sousa reminded Ontarians the government will waive the 8 per cent provincial share of the harmonized sales tax in electricity bills starting in January and bring in savings up of up $540 a year on hydro for some rural Ontario residents. The first of 100,000 promised new child care spaces by 2022 will come this school year, with 3,400 spots at a cost of $65.5 million, while the more than 100 hospitals across the province will share an additional $140 million in base funding. Schools will get another $1.1 billion over two years to help address a backlog of much-needed repairs and upgrades, with another $60 million going toward an effort aimed at boosting math skills in elementary school pupils by giving them one hour of math instruction daily from Grades 1 through 8. In terms of consumer protection, the government plans to ban door-to-door sales of water heaters, air conditioners, furnaces and water filters and will pass legislation to licence and set qualifications for home inspectors. As well, fees for special occasion permits allowing the serving of beer, wine and other alcoholic beverages at weddings and other events will be cancelled.